How does a teacher meet the needs of all learners amid the realities of day-to-day teaching? Patti Drapeau shows you how in this inspiring, practical book. 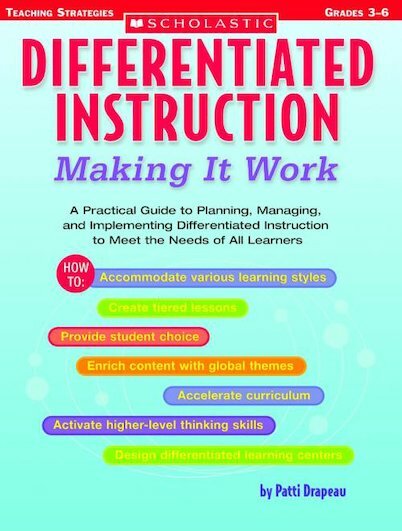 She offers a range of simple strategies for effective differentiation – including effective pacing, varying the depth of content, widening or narrowing the breadth of topics, and altering the complexity of questions. She also shows teachers how to make these strategies work through tiered task cards, differentiated learning centers and more. For use with Grades 3-6.